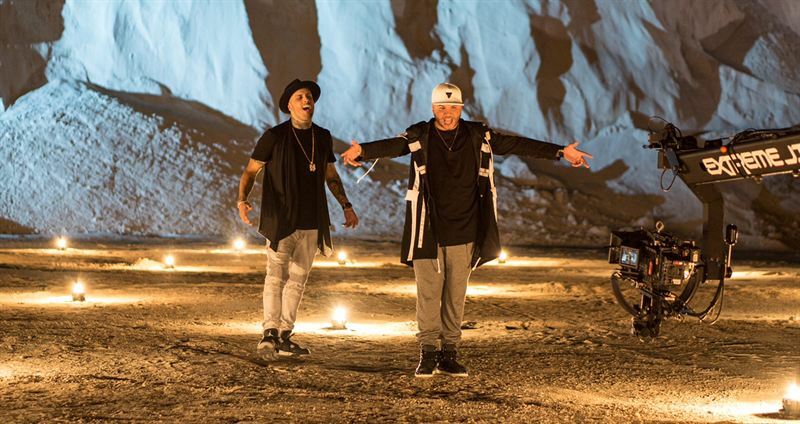 The exclusive premiere of Farruko's new music video, "Sunset," featuring Shaggy and Nicky Jam, will be on TELEMUNDO's "Al Rojo Vivo" (4pm/3c) today. The video will have encore presentations tomorrow across the network's shows including "Un Nuevo Día" (7am/6c), "Titulares y Más" (11:35pm/10:35c) and local entertainment program "Acceso Total" across key markets including Miami, New York, Puerto Rico, Los Angeles, Las Vegas, Denver, Houston, Dallas, Phoenix, Chicago, Tucson and San Francisco. The video in its entirety will air on NBC UNIVERSO during its UNIVERSO: NOW (1:00 pm/12c) music block. Carlos Efren Rosario, better known as Farruko, hails from Puerto Rico and is a successful international artist that has already worked with Sean Paul and J Balvin. Most recently, Farruko was nominated for this years first ever Latin American Music Awards on Telemundo under the category "Best new Song - Tropical" for his hit "Me Voy Enamorando".